Ready for the Best deal In Sandoval? Then you are going to love this beautifully maintained home located near the Veterans entrance of Sandoval. This home has been very well cared for and has had a New AC installed less than 1 yr. ago; new hot water heater installed 6 months ago, Dishwasher and washing machine are also less than 6 months old. 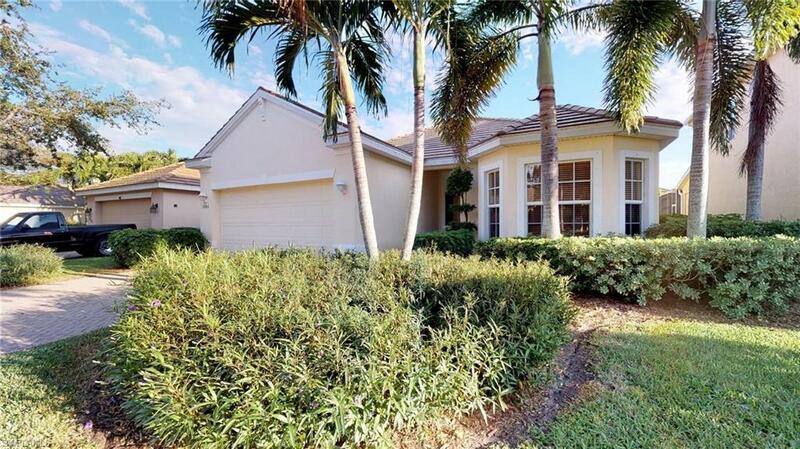 Sandoval is popular gated community in Cape Coral, and features amenities such as, resort style pool with slides, BBQ area, running paths, dog park, fishing pier, tennis courts, basketball courts, pickle ball, Clubhouse with gym and many other conveniences. This well maintained/clean house features 3 bedrooms, 2 baths, Open floor plan with formal dining that can be used as a den. Boasts tile floors throughout, all windows feature wood blinds, and blinds on the sliders. Enjoy cooking and entertaining in your island kitchen with wood cabinet and solid surface counter tops overlooking the screened lanai and living room. Come bring your pickiest buyers, they are going to fall in love.